This is a huge sign from Tesla that the Model 3 is still undercooked. The way investors and fans are touting the Tesla Model 3’s legend, you'd think it’s on the cusp of having the same impact as the Ford Model T. And it just might, but Tesla needs the rest of the world to think so too. Looking for more confirmation of that, Tesla had submitted the Model 3 to the 2018 North American Car Of The Year for judging, perhaps with hopes that it would win and satisfy the many investors who have hedged substantial bets in the automaker’s favor. 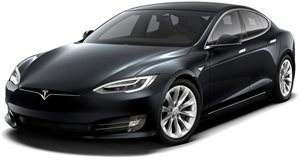 And then, just as the semifinalists were announced, The Detroit Free Press reported that Tesla pulled its submission, claiming that it was too focused on ramping up production and could not have a car ready for the competition. As you’d probably guess, that’s not a good look for the growing automaker. It signals a few things, all of which seem to point that the company has once again gotten behind on delivering the most important and game-changing products in its existence. What it means to those on the outside looking in is that the Model 3 still needs time in the oven before it’s ready to be put under intense scrutiny. Still, the Model 3’s absence means that there will be no electric vehicle being judged at the NACTOY awards ceremony. Those wondering why the Chevy Bolt isn’t taking the Model 3’s place should remember that it won the award in 2017, proving that as long as the Model 3 can live up to its basic selling points, it could very well snag a spot as the North American Car Of The Year and finally have a way of proving that it lives up to the hype. Guess the pace of Tesla's progress isn’t as quick as we’d like to see it, but at least the plug-in hybrid Hyundai Ioniq got to take a bow on stage along with the other semifinalists in order to show the world that alternatively fueled vehicles geared for efficiency are doing well enough to rank highly in well-respected competitions. Maybe next year?